It’s been a long week for Alex Rodriguez himself, Joe Girardi, Yankee fans and the rest of baseball fans across America– a week full of awkward discomfort and embarrassment. 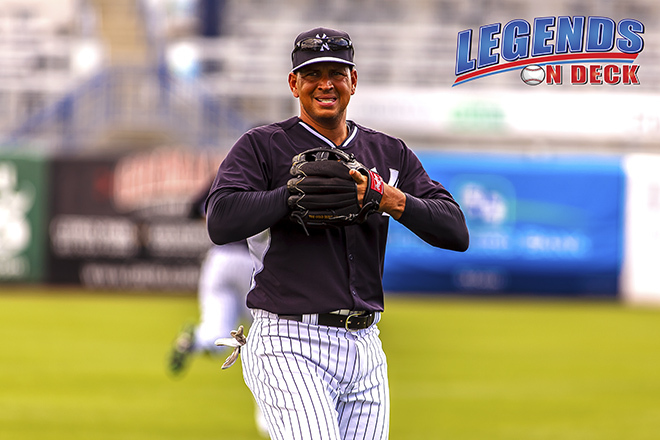 On August 7th, Rodriguez and the Yankees announced he would be released and that his final game as a Yankee would come on August 12 against the Tampa Bay Rays. He would then serve as a special instructor and advisor–through December 2017– for all the young talent they have across the farm system. However, that offer is contingent on the fact that Rodriguez would opt to retire and not play for another organization. Rodriguez has gone on record to say that he still feels capable of being a contributing piece to any franchise. But for now we just focused on what was certain, which was his release from his player contract. August 9-11, the Yankees would play the rival Red Sox in Boston. For those who don’t remember, Fenway Park was where Rodriguez recorded his first Major League hit. Since his debut in 1994, Alex became one of the biggest names in baseball history. He ran on his own putting up historic numbers through his career and he was on track to becoming the home run king. He was the youngest to ever reach 600 HRs and people had hopes all offensive records would be shattered by Rodriguez himself. Then from 2011 to 2013, Rodriguez couldn’t manage to stay healthy. He struggled with his hips, but was hopeful to return. In 2013 the alleged Biogenesis scandal broke– leaving Alex Rodriguez’s names at the front of every newspaper and magazine. He was found guilty of using performance enhancing drugs and was served longest suspension in Major League Baseball History– he sat out all of the 2014 season. Due to his hip surgery’s Alex’s return in 2015 seemed impossible. He had been out of baseball for 2 years. On top of that, he became the most hated athlete baseball has ever seen. But Alex Rodriguez defied all odds, having an incredible 2015. The 40 year old contributed heavily hitting 33 HRs and driving in 86 RBIs. In 2016, Alex has struggled and hasn’t gotten much playing time in the midst of the Yankees clear youth movement. So there’s where the awkwardness and tension grew, even during his last week as a Yankee Alex Rodriguez would not start in two of his last four games. He sat out the first two games against the Red Sox. This one-liner from the Yankee skipper drew much attention especially since the Yankees gave Derek Jeter the greatest farewell tour of any sport. In the first two games against the Red Sox, all you could hear throughout Fenway was “We want A-Rod!” but Rodriguez just sat and watched from the dugout. In his last game at Fenway, Rodriguez would go 0-4 and drove in 1 RBI. Then game the well-awaited game, A-Rod’s final game wearing pinstripes. Pregame the Yankee celebrated his career, honoring him with a framed jersey and flowers and brought in old teammates to watch him in his final game and then thunder struck literally. Rain showers came down and delayed the game. Alex spoke postgame about the ceremony and thanked the Yankees and even said how fitting the thunder was. He wanted to leave with a bang. His final at bats would not be anything easy as he faced one of baseball’s young aces in Chris Archer. But in his first at bat, Alex would rope a double into the right center gap, driving in a run. After that, Alex was quiet. He’d go 1-4 with an RBI. Girardi then said Alex deserved a proper send off and with a 6-3 lead going into the 9th inning, Alex would run out to third base for maybe the last time in his career. He was taken out after Dellin Betances struck out the first hitter and was given huge ovation from all of Yankee Stadium. Until the final two outs were record, Yankee fans chanted “A-Rod” and tears flowed down A-Rod’s face. Love him or hate him, Alex Rodriguez will forever be one of the best baseball players the game as ever seen and is one of the most influential athletes of all time. Besides the incident, the man went out a class act. Over the last two years, Alex truly has shown baseball that he is deeply regretful for his mistakes. He knows the ups and downs better than anyone else and gets that he was blessed for a second chance. “I’ve given these fans a lot of headaches over the years. I’ve disappointed a lot of people, but like I’ve always said you don’t have to be defined by your mistakes- how you come back matters too and that’s what New York’s all about,” Rodriguez said. Alex Rodriguez was a man and owned every mistake and he left every ounce of baseball he could at Yankee Stadium. So for that, Yankee fans and baseball fans thank you Mr. Rodriguez. Congratulations on an great career, amidst a few bumps in the road. Thank you for your major contributions to the Yankees, especially the 2009 World Series year. If you do plan on dawning another uniform because you feel capable of playing, then I and all other Yankee fans will cheer you on. Go get number 700. If not, we’re glad you could retire a Yankee and stay apart of the family. Feature Photo Courtesy of Gabe Rodriguez/Legends On Deck.